Wether you are in need of a professional to talk to about cleaning your valuable textile or looking to purchase, we are your go to rug specialists. Though we do not sell high end textiles, we can point you in the right direction, give our friends over at RugKnots.com a call and they can help you make a proper decision for your homes needs. In need of a proper cleaning, then give us a call anytime for a FREE estimate. Our rug cleaning specialists are professional technicians with expert training in each aspect of the rug washing process. Whether your rug is natural or synthetic, hand woven or machine made, tufted or non tufted, our technicians have experience in the proper handling and care techniques needed to properly service your rug. 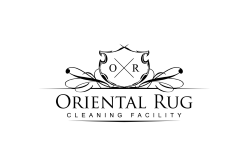 The training process for our Oriental rug cleaning technicians begins with learning all of the basic rug principles. This training helps our rug technicians to be able to identify different types of rugs, where they are from and what materials they are crafted with. 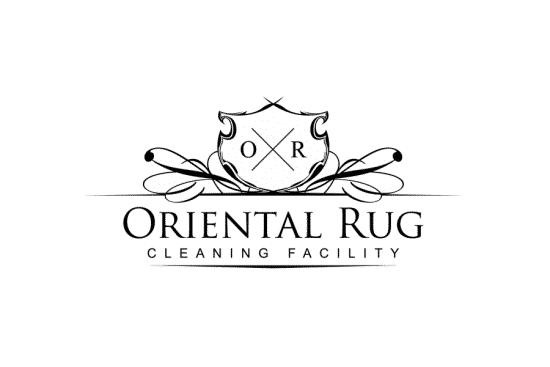 The first step one of our highly trained and experienced rug technicians will take in the treatment of your rug is a thorough, in facility inspection. This inspection is a critical part of the rug washing process, as it gives the technician the ability to recognize any special circumstances that may require particular treatments. It will also guide the rug technician down the proper full immersion washing path. During this very important inspection, the rug technician will be able to check for color bleeding or dye transfer issues as well. This step can be a life saver for your rug. If the dye transfer or color bleeding issues are too severe, a trained, professional rug technician might actually recommended that you do not wash this rug, you simply vacuum and dust it. While it is not ideal to skip regular washings for your high end area rugs, washing a rug with dye issues could completely ruin it. If the test only shows minor dye transfer or color bleed issues, our rug technicians can then take the proper steps to stabilize the dyes within the rug to prevent any issues during the cleaning process. The full immersion washing process that our skilled rug technicians perform is done by hand using only hand operated equipment and safe, effective cleaning solutions. This cleaning method is meant to represent the timeless, highly effective river washing method that has been used to wash rugs for generations. 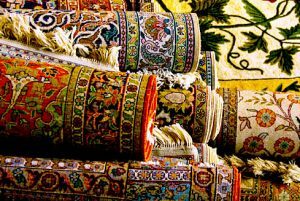 When rug manufacturing and purchasing began to become an industry in the Middle East and Asia, proper maintenance of these rugs came along with the territory. 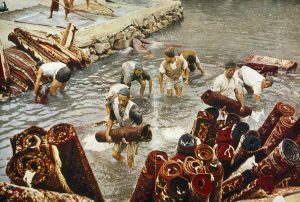 Being that this industry took off prior to the technological revolution, rug owners and rug cleaners would have to rely on natural rivers to flush their rugs out thoroughly. This method is time proven to be a highly effective way to thoroughly wash natural fiber rugs. Our full immersion washing process consists of a few carefully followed steps that are carried out after the initial in depth inspection. Once the inspection is complete, the rug technician will know what special care is to be take in the treatment of the rug. This could mean lighter dusting techniques, using a dye stabilizer or a dye rinse, or what particular cleaning solution and drying method to follow. The rug technician will begin the actual cleaning process with a thorough rug dusting. This is a process that will remove all loose contaminants residing within the rug. Next, the rug technician will begin the immersion washing process. The first step in the immersion washing process is a thorough flushing of both sides of the rug. Next the technician will apply the appropriate solutions to the rug. After a short dwell time, the technician will begin agitating the fibers on the pile of the rug. This part of the process opens the fibers up, which allows the cleaning solution and following water flush to reach deep down to the base of the rug. A proper agitation process carried out by a professional rug technician can make an incredibly significant difference in the final outcome of the rug washing process. After agitation, the rug is thoroughly flushed through both sides once more. Once the washing process is complete, it is now time to properly dry the rug. The drying process is one of the most important steps in the rug washing process. Most natural fiber rugs are woven with a very tight base of crossed Warps and Wefts that can be hand woven or machine made. There are also a number of rugs that are tufted, which means they have a glued on backing. Either way, completely drying the base of the rug can be a difficult process and can cause irreversible damage to your fine area rug. If a rug is heated too much or too rapidly, it can shrink or warp the base fibers of the rug. In extreme circumstances, it can ignite the pile fibers or the base fibers. If it is not fully dried in a timely manner, you could experience mold growth or bug infestation. Both of which can be death sentences for your area rug. Mold can lead to rot which will cause the base of your rug to slowly disintegrate. There are many types of small bugs that love the dark, moist atmosphere that an improperly, not fully dried rug creates at its base. Not only is it a bit unsettling to have bugs living and reproducing within your nice area rug that is laid out in your home, you also have to worry about bugs who eat wool or silk causing permanent, noticeable damage to your area rug. This is why it is so important to properly dry an area rug. Our drying process involves a safe, rapid extraction of over ninety percent of the residual water left within the rug. Then the rug is safely placed on an area rug specific drying rack. Our racks are custom designed and built to safely hang an area rug while it completes its drying process. Incorrectly hanging an area rug, or hanging an area rug while it retains too much water can cause permanent damage. The water weight can stretch the warps and wefts, which will misshape the area rug and hanging on too small of a rack can cause creasing in the area rug. Leaving the washing to the pros is the best way to ensure your area rug is safely and effectively treated. The years of experience, training and education that our rug technicians have accomplished has helped them to hone their craft into what some would call an art. The basis of this art is knowledge. The more our rug technicians know about every topic encompassing area rugs, the better suited they are to provide an impeccable service! Training for our area rug technicians includes a variety of topics that are covered thoroughly. Topics ranging from the origins and history of rug crafting and usage, crafting techniques and materials used, all the way down to the intricacies involved in the washing process are covered during an area rug technician’s in depth training process. When you speak to one of our area rug technicians, you are speaking to a true professional who knows and appreciates his craft to the fullest. Our trained area rug technicians are always open to speak with customers and help to answer any questions thrown their way. If you need help with identifying where your rug is from, or what it is made of, or even how old it is, do not hesitate to ask and our rug technicians will help to the best of their ability. Our rug technicians are also prepared for any possible issues that may arise during a service. While the testing process is thorough and proven, there can still be an issue that arises during the washing process that would need immediate proper attention to neutralize. A simple example would be rogue dye migration or color bleeding. During the meticulous pre cleaning inspection, our area rug technicians test for possible dye migration or color bleeding issues on multiple spots across the surface of the area rug. While this testing is thorough and accurate, it is not possible to test every single individual fiber. The test is carried out in different sections of the rug that could possibly have these dye issues. Once the area rug is on the wash floor and the water begins to flush through it, there can be small patches of fibers that may have been re-dyed in the past, or may have been subjected to alternate dyes during the crafting process, that could begin to transfer or bleed. Unfortunately, this can happen and when it does happen, it needs to be properly treated immediately. The proper treatment applied quickly enough can save the rug from having permanent dye issues. Our trained area rug technicians are familiar with these issues and are ready to pounce at the first sign of danger. 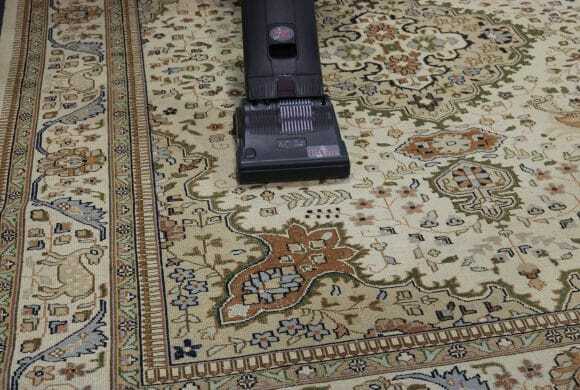 We have the proper products on hand and our area rug technicians are well versed in the proper treatment methods to stop this issue before it becomes a permanent problem. Yet another reason to go with the pros! We hope that some of this information is helpful in your understanding of our processes and procedures used in the treatment of your fine area rug. Most people purchase their high end area rugs as investments that they would like to have for a long time. If cared for properly, a high end Oriental area rug can last for generations. So, if you care for your rug and would like to see it last a lifetime, make sure you have it cleaned regularly and properly by trained, professional area rug technicians! Some Rug Cleaning Info!A Little Bit About Rug Padding.